If you’re tired of yanking weeds out of your flowerbeds, you may want to take additional measures to combat them. When used correctly, weed killer works very effectively to take down unwanted plants. 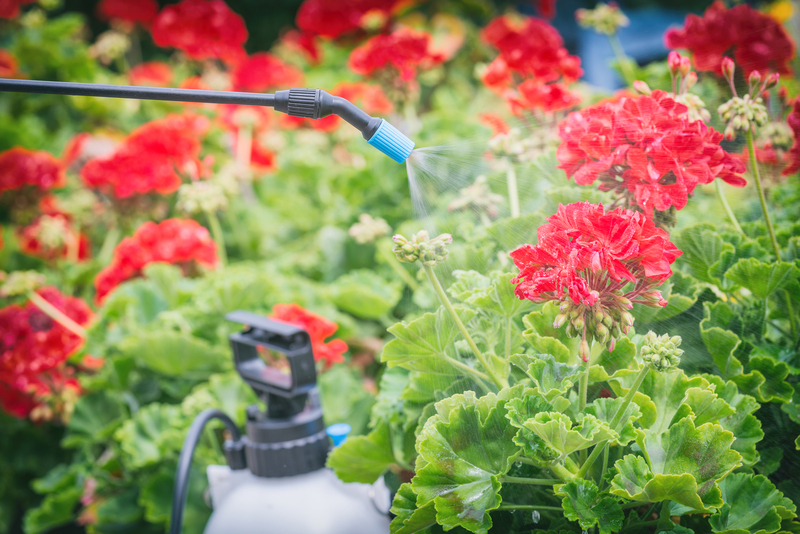 Unfortunately, without proper precautions, the agent may also sometimes harm flowers and landscape plants in the process. To protect your flowerbeds while staving off weeds, keep these top three tips in mind. Liquid-based weed killers tend to be more challenging to control than gel-based varieties; they also may drip off weed leaves and impact surrounding plants or soil. Gel weed killers, on the other hand, offer optimal precision and cling tightly to the weeds, lowering the risk of dripping. Mulching the flowerbed after spraying offers an additional layer of protection against weeds, as it creates a physical barrier that they often cannot penetrate. It can also help protect your flowers by locking nutrients deeper into the soil. A layer of mulch that includes materials like wood chips, twigs, leaves, and cocoa shells will help suppress new weed growth while keeping your flowers nourished. Avoid applying weed killer when it’s windy or may rain, as the weather could transport the solutions to undesirable areas. For best results, apply weed killer on a clear, dry day. After application, leave the weeds for at least seven days so that the agent can completely permeate the roots. Spring and summer are the ideal times of year to apply weed killer since weeds tend to grow during these seasons; however, the agent will still work year-round. For the high-quality garden and lawn services you need, consult Cincinnati, Ohio’s trusted business. The experts at Nature Plus Lawn & Irrigation provide weed killer, fertilization, and aeration services that will help you maintain a lush, healthy landscape. For more information about services, visit the website or call a friendly professional today at (513) 755-9434.